*Note: When trying new skincare or makeup products, be sure to add only one new product at a time. After trying it for a couple of weeks, add one more new product. This way you will know which products you may have an adverse reaction to. I started using the Simple toner a couple weeks ago, and I'm not sure what I think about it. Have you tried that? Perfect timing. I am in the market looking for a new moisturizer and I don;t think I have tried any of these yet! Yes and yes. Moisturizer is an essential skin care item! Too many people think they need their face to be dried out to avoid pimples... but in fact that only increases oil production. 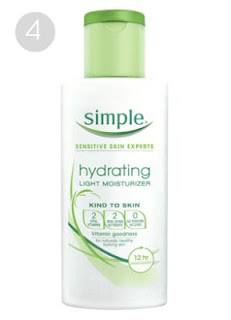 I use moisturizer morning & night. 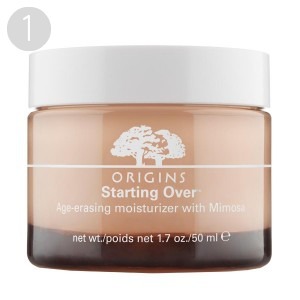 I'm still looking for a night time favorite - I do love that Origins one with the mimosa! For the morning I use Garnier's Moisture Rescue Lightweight UV Lotion. I always love trying new things though, so thanks for the recommendations! Oooh thanks for sharing your faves! I use and adore the say yes to the cucumbers one - amazing and no greasy feeling! i love lancome - whichever moisturizer for whatever stage of life you're in would work. all the ones i've tried have been so lovely (my favorite being one called primordiale, which they stopped selling in the US. of course). i've also really been intrigued by the "say yes to..." line, i need to try their products stat. I'm glad to hear you like the Yes to moisturizer - I've been wanting to give that line a try. In the winter I've been using coconut oil - otherwise I am super dry. I'm always interested in what other people use for skincare, so I know what's worth trying. I have pretty sensitive skin, so I'm always good about only adding something new once in a while because I've finally found products that work for me. I usually go for ones that have SPF in it. Olay is my all-time favorite, but I like Eucerin too. And Garnier! I like the Yes too products a lot. I've used the tomato cleanser and it was great during the summer months (too drying for the winter).